Well here's another 'tall tail' with photos and data to match. 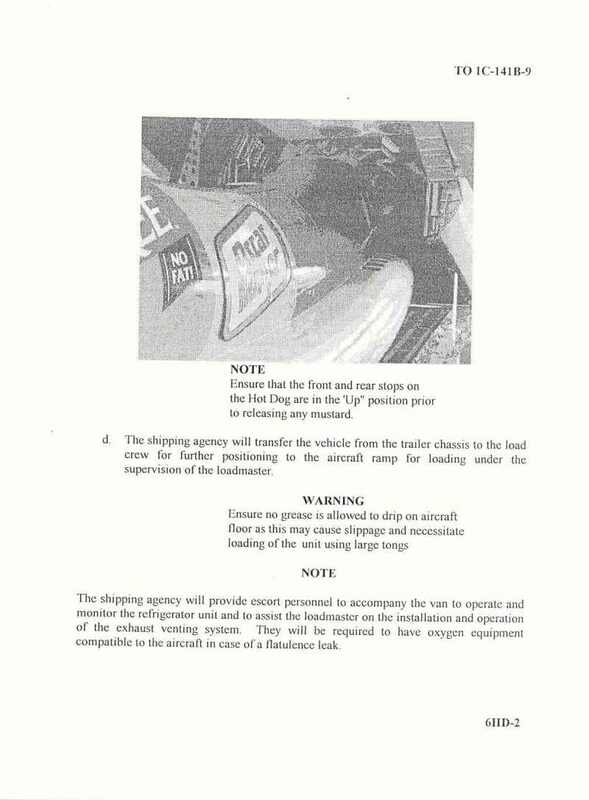 Sometime back in the mid-90's one of our crews was tasked to go to the Cleveland Air Show. I didn't go but heard all the great stories about the fun time they had and about them trying to load the Oscar Mayer Weenie Wagon on board complete with pictures. The wagon was actually too tall to go inside the C-141 but that didn't stop them from trying and snapping a few pictures. 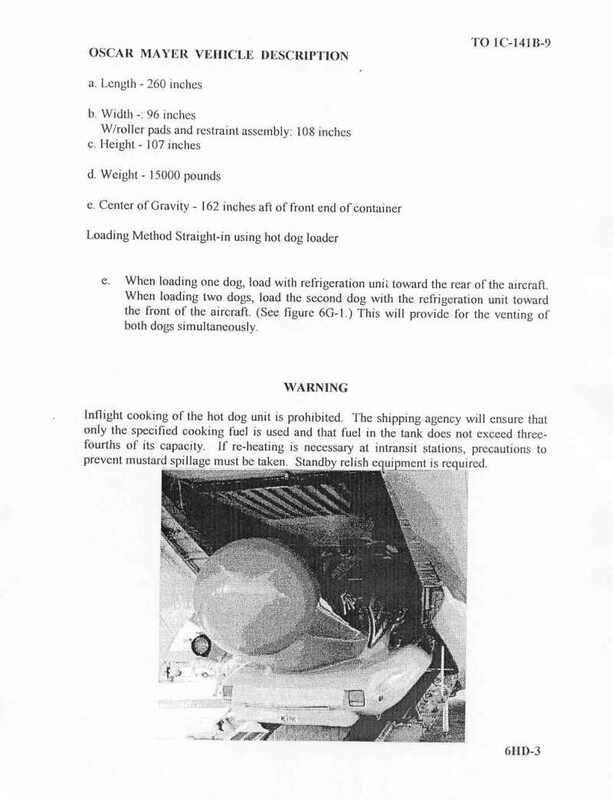 When they got back and showed me the pictures I came up with a great idea ... an Operational Supplement for the C-141 dash-9 flight manual loading instructions. I took the photos and scanned them while typing a word document that used the same format and fonts. 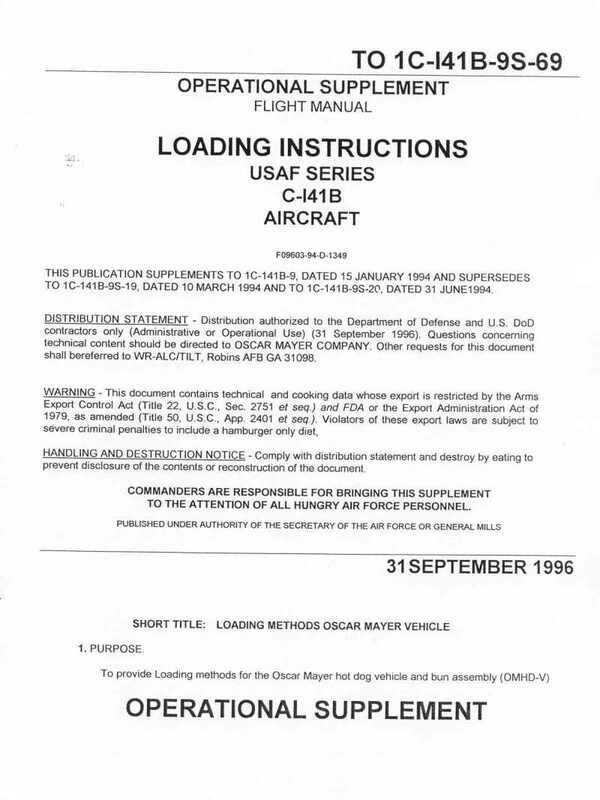 Boy was that fun, but the best part was making a copy and slipping into our wing DOV loadmaster's 'V-file'. He was a very excitable type to start with and this just made it even more fun. He nearly went through the roof. 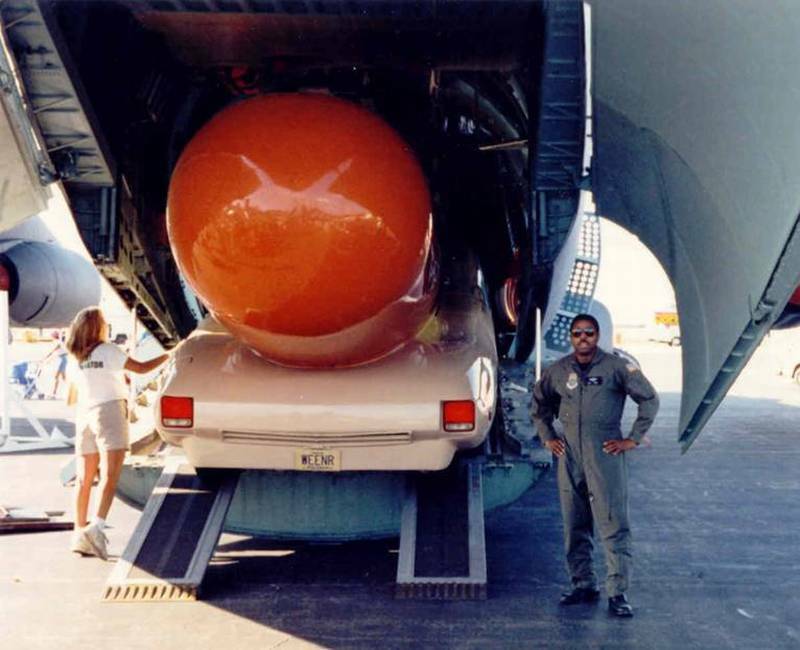 He could not believe that the Air Force would waste good money hauling the Oscar Mayer Weenie wagon around and ranted about that for a while but what really upset him was the fact that he didn't know ahead of time and the supplement just showed up in his V-file. About time he calmed down he noticed the number sequence of the supplement and couldn't understand why they had skipped a few which really worried him because now his books were way of date. It took several hours to calm him down and to realize it was all a good joke. 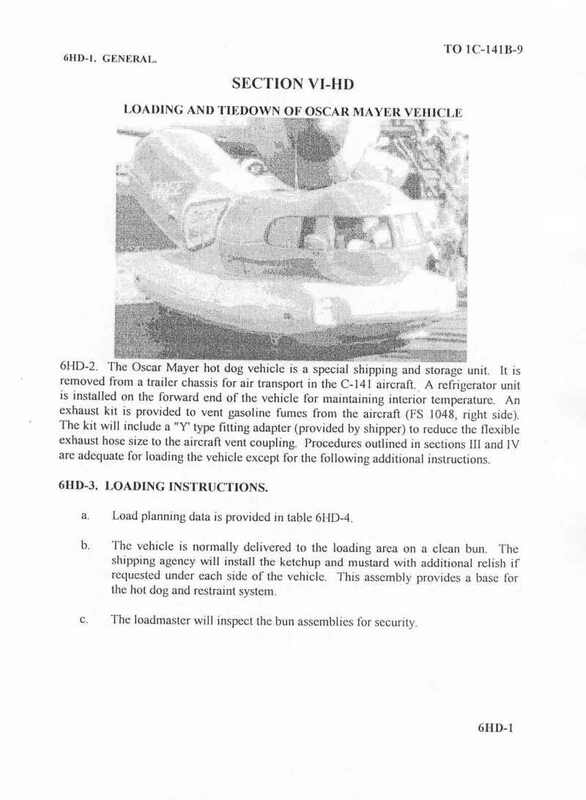 In today's Air Force you have to wonder where all these jokers went that pulled tricks like this years ago. One of them made it to CMSgt .. I know because it was me and today I get on to my young troops for doing the same things I did nearly 30 years ago as a youngster.